Looking for electrical products that will cut the overall budget, save energy or improve your bottom line? We have the solutions you need. Our award winning team can help you incorporate new products and solutions to help you maximize the design, installation and operation of electrical systems on your next job. Do you want to save energy, take advantage of utility rebates and upgrade your lighting with better quality light and less maintenance? Call us for a lighting audit and upgrade proposal today. At Schaeffer Marketing Group we are proud of the top quality efforts of our staff and the recognition earned. 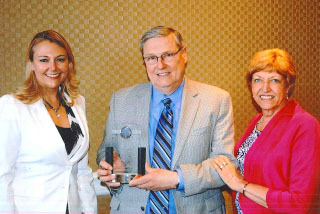 Check out recent awards and other company info on our news page. Schaeffer Marketing Group, Inc. is an electrical manufacturers’ representative firm originally established in 1976. 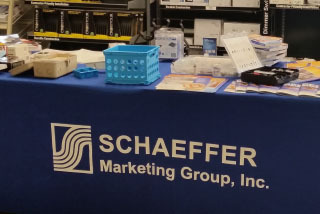 The Schaeffer Marketing Group team is pleased to represent quality electrical manufacturers and their products. We offer our partners product expertise, longstanding relationships in the market and customer service second to none. We cover these areas in Missouri and Illinois. What information can you provide on energy savings? SMG is a registered Ameren Trade Ally in both MO and IL, a DCEO Trade Ally and a member of Ameren’s Valued Partner Network. We can provide an energy savings analysis including all applicable rebates and EPAct Tax Incentive Programs available. What information can you provide on labor savings? 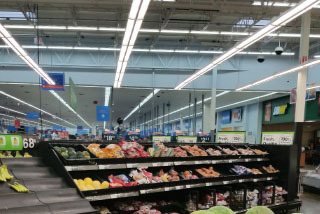 Our solutions will maximize efficiency and productivity and ultimately cut costs with LED lighting.